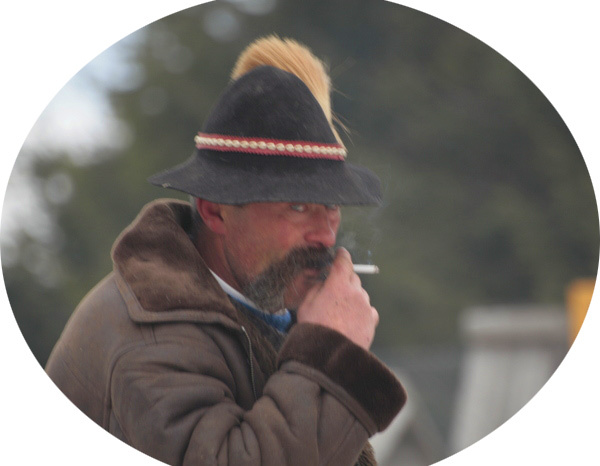 The Gorals is the self-designation of a small ethnic group of Poles living in the highlands near the town of Zakopane, Malopolska Region. This group has very distinctive traditions, their own curious dialect, and of course, costumes. 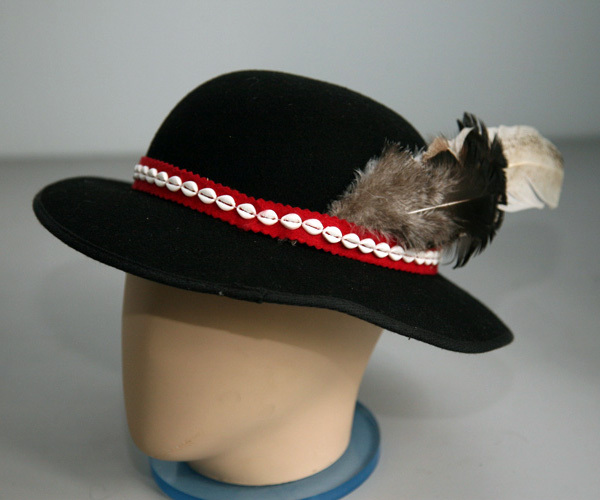 In the Goral villages to this day you can see men wearing a black felt hat with somewhat slouching brim, red cord, decorated with shells at the base of the crown, and the eagle feather, giving the Goral hat resemblance to Tyrolean hat. There are also kerptsi, the shoes made from a single piece of leather with laces around the shin. The annual mountain festival in Zakopane gathers the Gorals and other nationalities of the high Carpathians, where colorful national costumes can be seen firsthand; my hat was bought in Slovakia, on the other side of the Tatra Mountains.